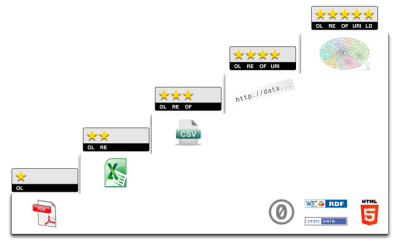 5 star deployment scheme for Open Data. LATC. CC:0. The growing amount of open linkable cultural heritage data gives us a huge opportunity to give meaning to formerly isolated information. The Nordic countries share a lot of common history of which only a part has been told. By supporting the cultural heritage institutions in their aim to climb the five star ladder we can unleash more data, pave the way for stories to cross national boarders and connect in a context of deeper and wider meaning. Last year Digisam arranged a conference in Malmö (Sweden), in collaboration with our Nordic partners, with the title “Open cultural heritage data in the Nordic countries”. The cooperation continues and in October the National Archives of Norway invites you to the conference “Aim for the stars”. The presentations will be held in English or Nordic languages. Follow this link for information about the programme and how to register.